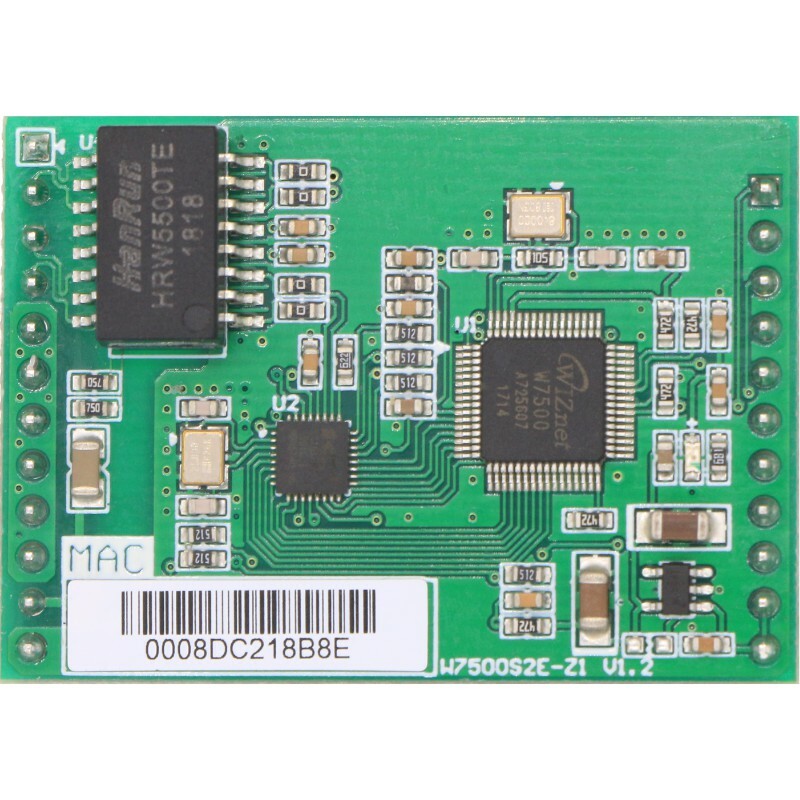 Module is based on iMCU W7500 which integrates CortexM0 with full hardware TCP/IP protocol stack Ethernet engine, and network communication is fast, stable and robust. 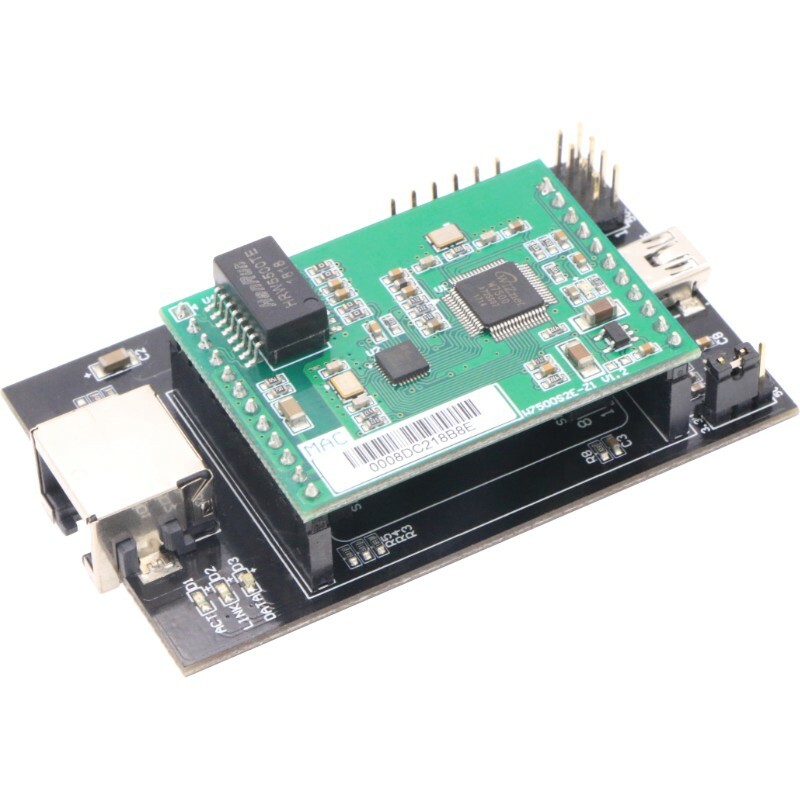 The user just need to refer to the reference schematics and the user manual, can complete the hardware circuit design quickly, reduces the development difficulty and saves the development time. 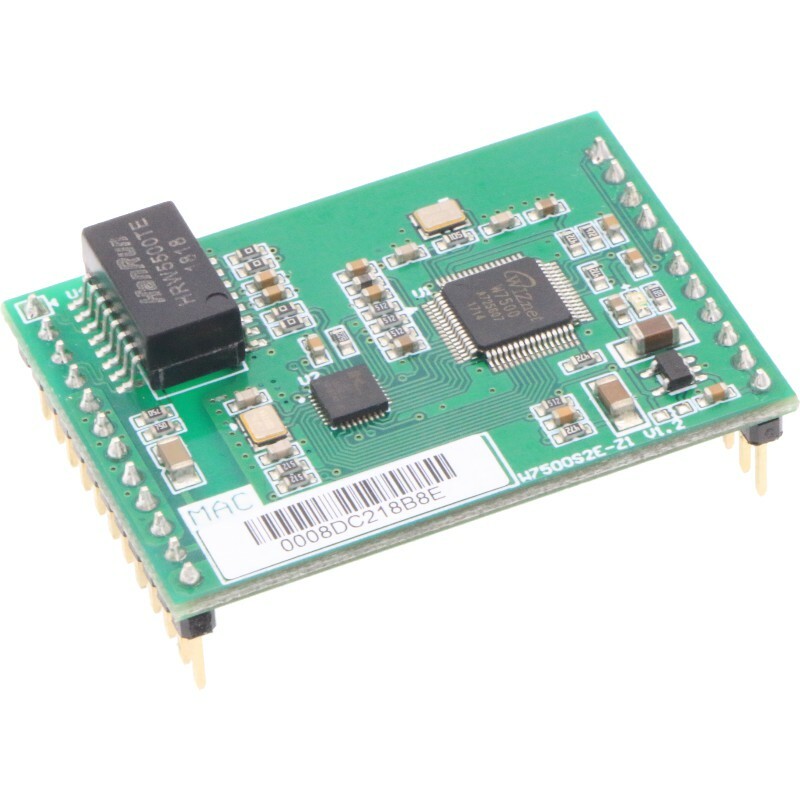 AT command configuration, users can integrate W5500S2E-S1 into their own embedded products on the motherboard, through the AT command for parameter configuration, or directly through the serial tool to use the AT command configuration. Users who need to integrate the W5500S2E-Z1 module on their motherboard can refer to the appearance mechanical dimensions provided by FIG. 1‑1. The length, width and height of the product, the distance between the two parts of the needle and the position of the four mounting holes are specified in the figure. In addition, the pin header is spaced by 2.54mm standard pins.